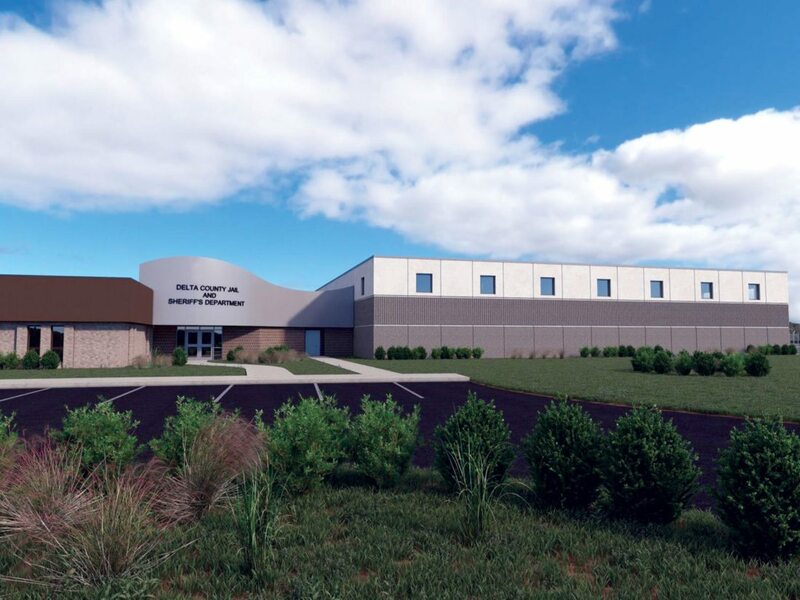 ESCANABA — Delta County has secured a $17.9 million guaranteed loan for its Delta County Correctional Facility project through the United States Department of Agriculture (USDA) Office of Rural Development’s Community Facilities Loan Program, the county announced Friday afternoon. Delta County Administrator Ryan Bergman said the Delta County Board of Commissioners has been eying the funding since a millage proposal for the jail project was approved by voters late last year. “We’ve been working towards a USDA Community Facilities Loan for our jail project… since November,” he said. The loan will have a guaranteed maximum interest rate of 3.25 percent. Bergman said he did not know exactly how much of a savings this will create for taxpayers compared to the interest rate that would have resulted from a public bond sale (the county’s other option for funding the jail project), as that interest rate would have been decided by the open market. “It’s relatively certain it would be higher than the USDA rate,” he said. The county’s last projected public bond sale estimate had an interest rate of 3.75 percent, meaning that the USDA loan may save taxpayers almost $2 million in interest over the 30-year term of the loan. The county will also not have to pay a company to manage and sell bonds in a bond sale thanks to the loan. This will result in up to $250,000 in additional savings. According to Bergman, the county will begin levying the jail millage at a rate of 0.835 mills. “It likely would have been closer to 0.9 without the loan,” he said. Bergman said he and other members of the county government are glad the loan has been approved. “We’re happy that we were able to do something that can assist the community,” he said. The Delta County Board of Commissioners and the Delta County Sheriff’s Department thanked Jim Yoder, Michele Wiles, and Crystal O’Neal from the local USDA office, Chris Maxwell from the state USDA office, and Special Assistant to the President William Kirkland for their work in securing the loan for the county.